On the other hand, 71 percent of the people surveyed were "non-users" in that they rarely or never used coupons when they went shopping. Of the non-users, 61 percent had incomes of $35,000 or less, and 26 percent were African-American and Asian-American. That's compared with 16 percent of the coupon divas who were African-American or Asian-American, and 68 percent of the non-users who were white. 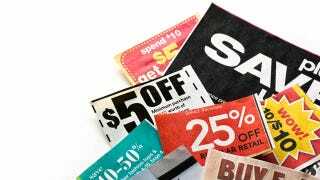 The biggest difference between the groups is that coupon users believe the time spent hunting for a 50 cent coupon is worth it and may, "chastise people who don't use them, saying, ‘You're wasting your money.'" Non-users, on the other hand, believe earning several times that much at work is a more productive use of their time.